We are contacting you regarding the event in the Cakovec area, which we learned about from the citizens of Cakovec and from the media. 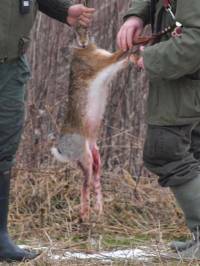 According to the information we received, members of the hunting society Zec from Cakovec, Ljudevita Gaja 35, were shooting pheasants and rabbits on Sunday, January 2, 2011, between 9 and 11 A.M. in the Cakovec – Mihovljan area. 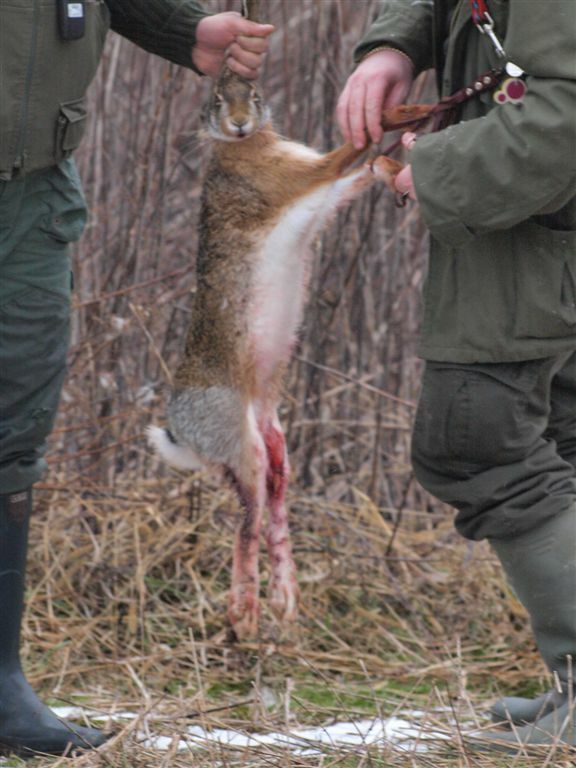 The hunt took place within a zone 300 m from the town limits. According to the Hunting Act (Article 64, paragraph 1, item 2), it is forbidden to hunt game "in the 300 m zone from the settlement in lowland and upper land, and in the 200 m zone in hilly and mountainous areas." Aside from the above-mentioned, the hunters violated other regulations of the Hunting Act: the boundaries of the hunting-ground are not marked, that is, the boundaries are not "visibly marked on places stipulated in the decision establishing the hunting ground" (Article 11), so the only way people can learn about the hunting-ground right behind their houses is the sound of gun shots and the sight of shot pheasants falling on the busy road; the hunters were walking near houses with loaded guns, although "moving on state, county, local and unclassified roads within the hunting ground shall be admissible only with empty weapons placed in a jacket-case or protective box" (Article 54, paragraph 2). They also violated Article 5 of the Rulebook on the Usage of Hunting Weapons and Charges, which says that "hunter's weapons and charges can only be used if their use does not endanger the safety of people or assets." In this case, the hunting-area was not marked and secured during the use of fire arms, and the local community was not notified about it. Also, the hunt took place in an area transected by a city road that connects Cakovec and Mihovljan and near the Senkovac roundabout, so the pedestrians and drivers who use this quite busy road are also endangered. During the hunt, the game and hounds can run out onto the road, and the shot birds fall down on the road, which endangers the traffic safety and people even further. It also breaks the Animal Protection Act, which prohibits to "kill animals, subject them to pain, suffering and injury, and intentionally expose them to fear, contrary to the provisions of this Act" (Article 4, paragraph 1), on the basis of which we filed a complaint to the veterinary inspection. The citizens of this area live in constant fear and are endangered by the hunters, who not only break the law, but also disturb the peace and safety by shooting and killing animals less than 100 meters away from the houses. Even though the citizens do not enter the hunting-ground as observers, they are endangered in their own backyards and balconies. Children are especially endangered, because on that particular Sunday morning, the hunters were moving some 30 meters away from the playground. Hunting, the use of buckshot and shooting near the town endanger the safety of citizens and animals, especially because similar events happen regularly in this area. Dogs and cats outside of the houses are also endangered. 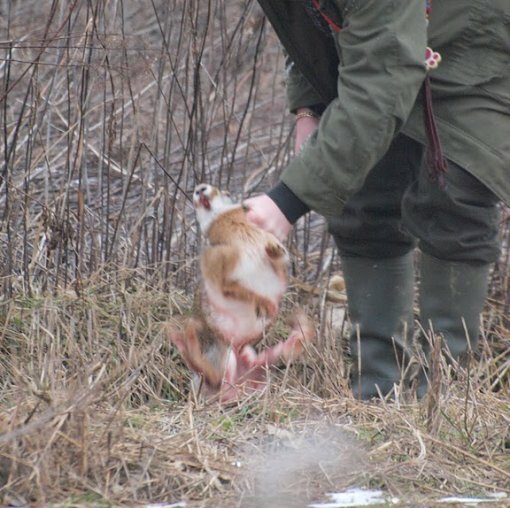 Moreover, they are often the target for the hunters, who constantly break the law by killing pets without any sanctions. Seeing how this whole area is 700 meters wide from the first to the last house (which means that only the middle 100 m can be used for hunting), we are dealing with a serious issue which should not be ignored and diminished. Consequently, we are asking for the abolishment of the hunting-ground in this area, in order to prevent even bigger human and animal tragedies. Citizens of this area, as well as most other citizens of Croatia, want a peaceful and safe environment for themselves and their children, and not a life filled with fear of the hunters. We are sure you would agree that it is inappropriate for children in the playground to live with the sight of people with guns, shooting and roads stained with the blood of animal corpses. We believe that you, as the prefect for the Medjimurje County, which takes pride in its culture and cares about its reputation, want your county to develop in accordance with the modern ethical and civilisational achievements of the 21st century, which exclude unnecessary and barbaric animal killing and the atmosphere of fear and threat to its citizens by a group of citizens who own guns. Therefore we expect you to forbid the hunting and abolish the hunting-ground in this area so as to ensure peace and security which the citizens deserve. Please notify us by a written document about the measures you have taken, so we can inform the public about it in the media.